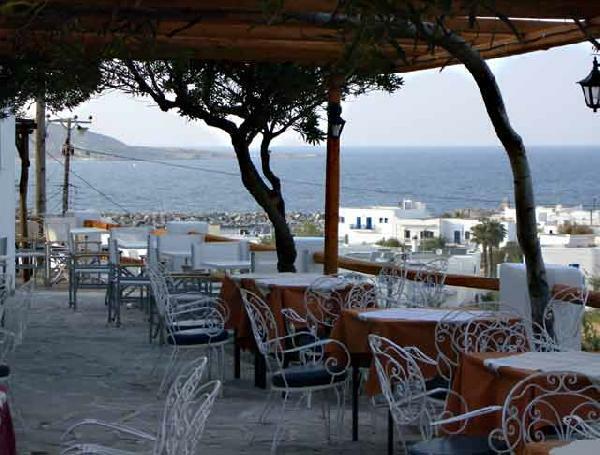 In the Naoussa of Paros and in distance of 150 metres from the Venetian port in the centre of the city you will find Nick’s studio and tavern “BALKONI”. All our studios have a refrigarator, a small fully equipped kitchen and private WC. You can sit and enjoy the Greek kitchen with Mediterranean recipes. Trying pasta with the proportional sauces, pizza by topical recipes all products are first’s category. From meat you can taste those that are cooked in traditional way. If you prefer seafood and fishes you can also try our unique dishes. All meats are local as steak, chops. Enjoy our appetizers as prawns with fresh tomatoes, seafood in combination with Greek music. Είστε ιδιοκτήτης ή διευθυντής στο BALKONI STUDIOS; Εγγραφείτε τώρα για δωρεάν εργαλεία, που μπορείτε να χρησιμοποιήσετε για να βελτιώσετε την καταχώρησή σας και να συνδέσετε την ιστοσελίδα σας και το σύστημα κρατήσεών σας.